Many health professionals who travel to developing countries to provide training in Emergency Medicine are often confronted by the lack of resources in the local hospitals. ISTIH has extended its reach to the Solomon Islands by co funding a programme in the delivery of emergency medical care with the non profit organisation, Emergency Life Support Course an initiative of a group of Australian emergency medical specialists established in 1999. Two agreements to strengthen emergency nurse training were concluded recently by ISTIH and Nurse Teach Reach with two leading medical institutions in Nepal. 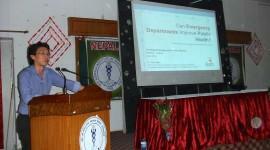 The commitment to develop the capacity to deliver care to the acutely ill and injured in Nepal took a further step when the Nepal Emergency Medicine Seminar was held recently in Dharan. 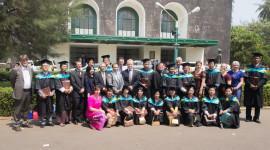 The standard of care for the acutely ill and injured in Myanmar took a significant step forward with the graduation of the first ever cohort of doctors with a Diploma in Emergency Medicine in February 2014. When Fremantle Hospital Emergency nurse Margaretha Offringa (27) first walked into Tribhuvan University Teaching Hospital (TUTH) in Kathmandu, Nepal, her initial sense of shock soon turned into a proactive approach towards responsible nursing. A team from the Royal Perth Hospital are currently delivering a two-day course in Toxicology in Yangon as part of the series of intensive short courses providing the core training for the first generation of doctors in the program to develop the specialty of Emergency Medicine (EM) in Myanmar. 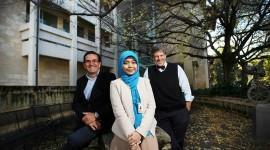 FIFTH year University of Indonesia medical student Rizka Zainudin recently spent five weeks in Perth on an International Skills and Training Institute in Health (ISTIH) elective placement scholarship. 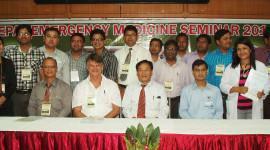 For the past year, Australian and international doctors have been engaged in an intensive 18-month project to develop the specialty of emergency medicine in Myanmar. 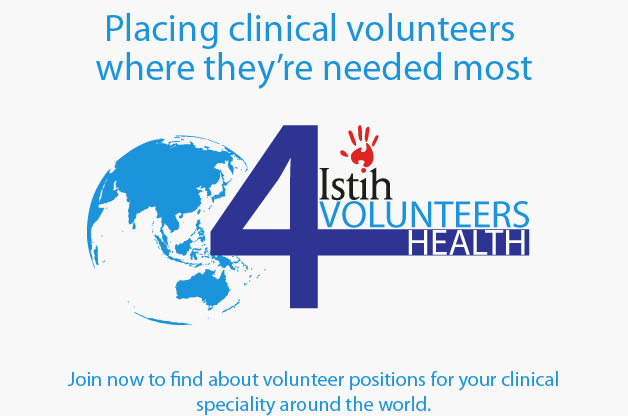 ISTIH brings together experienced professionals who have successfully delivered aid projects. If you wish to download our brochure, then please click the link below. As a not-for-profit organisation ISTIH relies on community support, so make this the day to get involved as a donor, a volunteer, or a corporate sponsor. Your contribution will help us deliver the support and programs that will make a positive difference to the delivery of healthcare within the Asia-Pacific region.